Wessex Hypnotherapy Centre in Bournemouth and Poole in Dorset – This site contains information about: hypnosis, hypnotherapy, hypnoanalysis, stress management and analytical therapy. Here you can find help for; stopping smoking, anxiety, depression, phobias, lack of confidence, stress, weight loss, help for children and emotional problems. Stopping smoking therapy using one easy session of hypnotherapy & hypnosis in Bournemouth, Poole in Dorset. Stop smoking and quit cigarettes in one session of hypnosis and hypnotherapy at the stop smoking Bournemouth stop smoking centre, conveniently located close to Poole, Broadstone, Wimborne, Creekmoor and Canford heath in Dorset. Dealing with panic attacks, anxiety, OCD, lack of confidence, depression and emotional problems. Professional help with all anxiety based symptoms. Also stop smoking in 1 hour, weight loss, confidence and more. 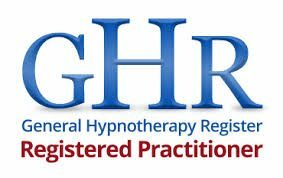 Professional Hypnotherapy in East Sussex for anxiety, fears, phobias, weight control problems, drink and drug problems, stopping smoking, sexual problems, depression, children’s problems and much more. Daniel DesLauriers MIAPH D.hyp is a hypnotherapist and analyst specializing in the treatment of anxiety and various anxiety related problems including but not limited to, panic attacks, stress, anxiety, phobias, sexual problems, social anxiety, emetophobia (fear sick/vomit), depression, obsessions, compulsions, IBS. Helping you overcome anxiety, depression, phobias and lack of confidence with hypnotherapy in Malvern, Ledbury, Tewkesbury and Worcester. Professional Hypnotherapist Hypnoanalyst. Su Filer. Waterlooville. Portsmouth.Southsea. Havant. Cosham Fareham Hants. Specialising in CHILDREN, HYPNOSIS FOR CHILDBIRTH, CANCER CARE, SEXUAL PROBLEMS. Professional hypnosis and hypnotherapy and hypnoanalysis in Gloucester, Cheltenham, Stroud, Cirencester, and Tewkesbury. 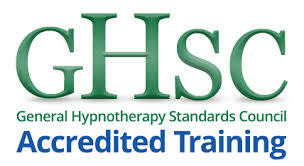 Hypnosis and hypnotherapy in Poole, Bournemouth & Dorset. Hypnosis and Hypnotherapy help with Weight loss; Stop smoking, Stress, and Confidence, Fears, Depression, Insomnia and more. Contact us for more info. We can help you feel better. If you require any more information, or have any other questions, please contact Rob on 01202 245020 or 07920 885015.